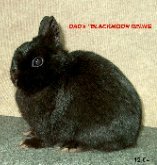 We have been raising and showing Netherland Dwarf rabbits since 1999. Dave and Deanna have earned thier ANDRC Charter Breeder Certificate. Our foundation brood stock has come from Holland, Germany, England and many outstanding breeders� here in the United States. We support Youth and their rabbits, on a local level, and national too. 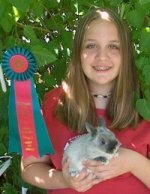 I�ve been our county�s Rabbit Superintendent for 5 years and a 4-H Rabbit Leader of 9 years. I have also applied for my ARBA Registrars License. Allison has earned the ANDRC �Charter Breeder� Certificate � Open & Youth! We have also become great friends with Yukiko Nagashima of Japan. Her family owns �Papa & Mama Rabbitry�. They raise and show many fine rabbits, and sell rabbit related supplies too. They have also bought some good foundation rabbits from us and other breeders. 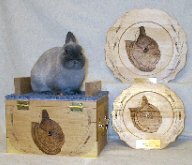 Some of the rabbits they purchased from us include: Allison�s �Ginny� 2002 BOSB Youth ANDRC National Winner, �Chief Moses�, DAD�S �Black Jack�, DAD�S �Black Magic�, and a beautiful buck from Holland named �Marty�. We are very proud and honored to claim �Papa & Mama Rabbitry� as our Sister Rabbitry in Okayama Japan. 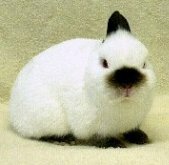 Persons in Japan wanting to purchase rabbits from the USA, please contact Yukiko Nagashima. Together we will find that just right rabbit for you :-). 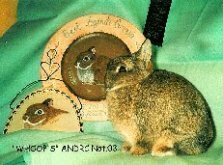 Many Rabbit Breeds to choose from. Show and Breeding stock in many colors.